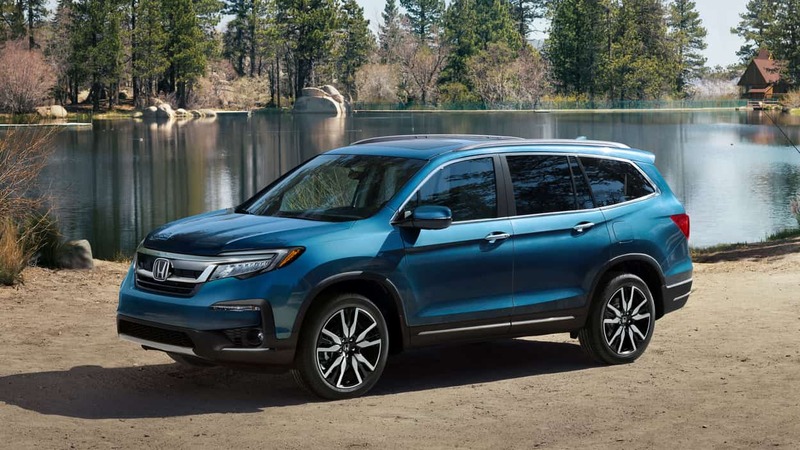 For three consecutive years, the Honda Pilot was named the Best Buy for Midsize SUVs/crossovers by Kelley Blue Book, who called it “the family-friendliest midsize SUV in existence.” With the ability to seat up to eight individuals, up to 4,335 L of passenger volume, and up to 524 L of cargo volume behind the third row, this claim could not be truer. But with soft-touch materials, cutting-edge infotainment technology, and just the right amount of power, the 2019 Honda Pilot is just as friendly for the savvy, single consumer. The 2019 Honda Pilot is available in six trims: LX, EX, EX-L Navi, Touring 8P, Touring 7P, and the Black Edition. All models are standard with Intelligent Variable Torque Management (i-VTM4™) AWD. If you need an SUV that can tow or haul, the 2019 Honda Pilot is available with tow packages accommodating for up to 5,000 pounds. For those who lead a life of adventure, The Great Outdoors Package adds all the equipment you need and even tosses in the tent. Regardless of your needs, the Honda Pilot has the ability to fulfill them with ease.